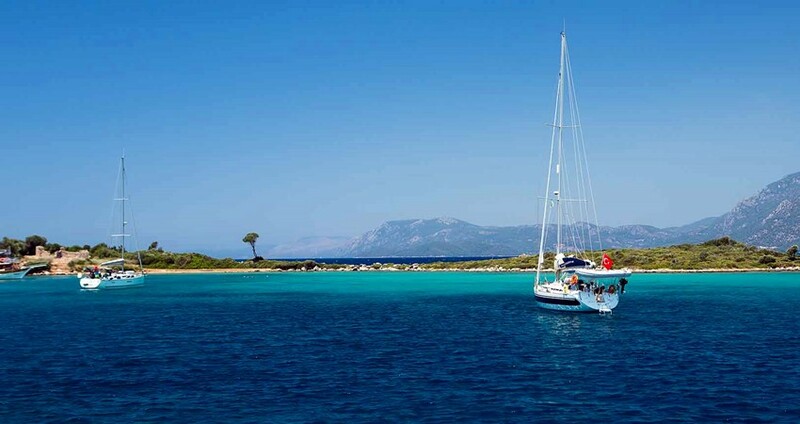 You can see the available dates for Cleopatra Island Boat Trip. Please use the booking widget to make reservation. 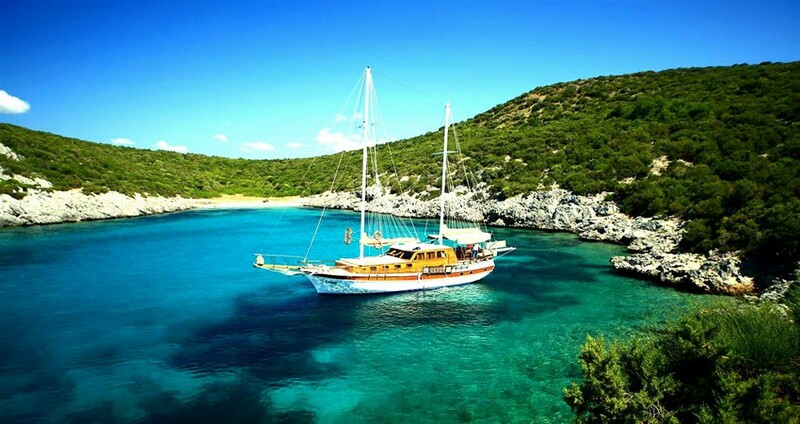 Cleopatra island boat trip is an amazing 8-hour travel venture from Marmaris into the serene and most beautiful of the places you will ever get to visit on earth. 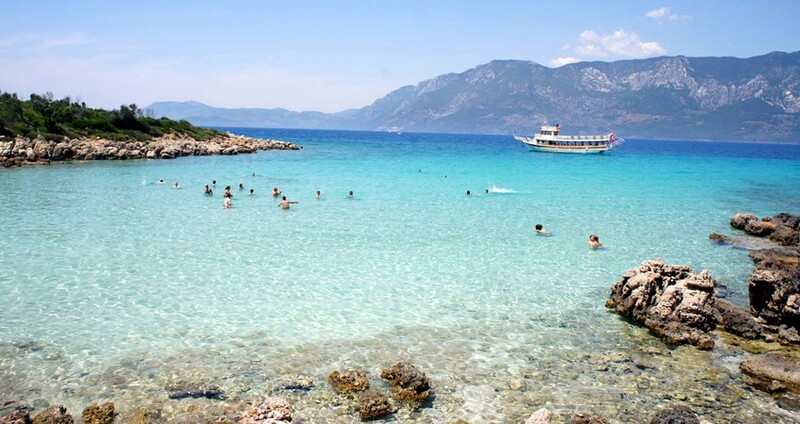 The tour begins with a 20-minutes drive through the colorful countryside to Çamlı, a village 17 Km from Marmaris. 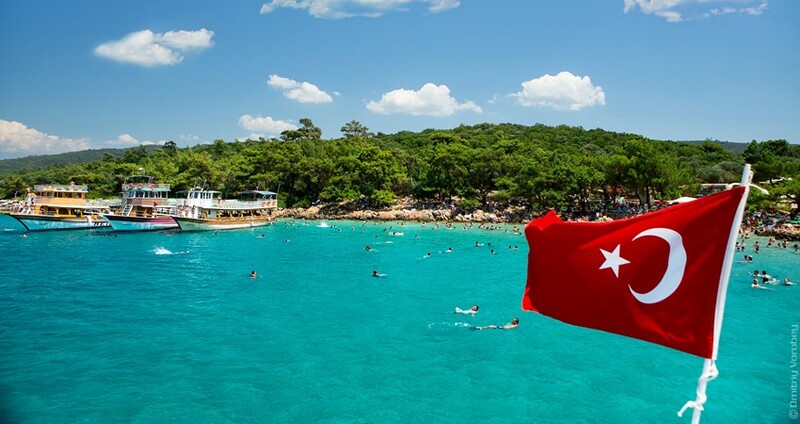 From here we take the two-decked special Turkish boat to sail across the Gökova Gulf, take 2 impressive swim breaks in between, enjoy a luscious BBQ lunch and finally let you take a 2-hour long free-time to explore and enjoy at the Cleopatra Beach. While heading back to Marmaris, we again stop for a 40-minutes swim break at the impressive Lighthouse Island. The Aegean Sea is well-known for its crystal clear waters and strikingly serene beaches. 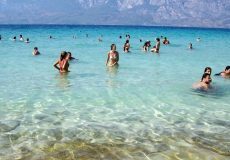 As our boat moves from Çamlı, we take swim breaks at two different places; one at Ince Kum bay and the other at the Laciver Koy. These places are excellent locations to enjoy swimming and snorkelling. From here we sail further to the Cleopatra Island where a luscious BBQ lunch awaits us. After the lunch break, it is the time to explore the famous island of Cleopatra. You will have 2 hours long free-time opportunity to walk on the amazing sandy beach, swim or snorkel at the island of Cleopatra. 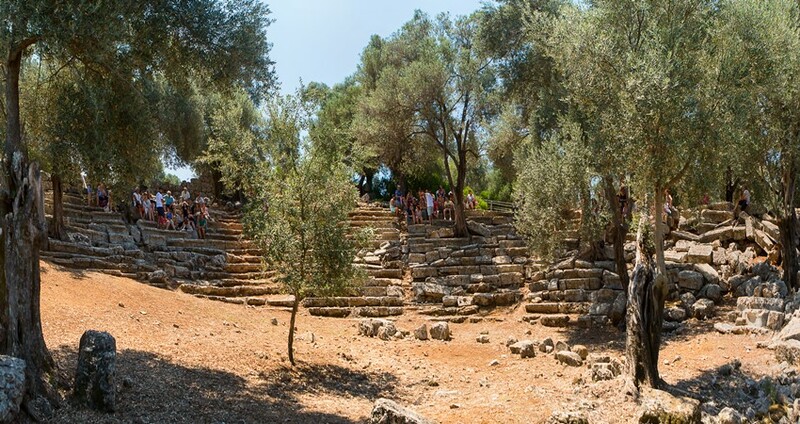 The amphitheatre and the fortifications of the ancient city site of Cedrea along with the breathtaking backdrop of the mighty mountains and the bright azure waters of the bay are an added attraction. The Cleopatra Island is known for its pale pink sands that squeak as you walk over them. This legendary island is believed to be once a secret meeting place to Queen Cleopatra and Mark Antony. Impressed by the beautiful setting and serenity of the island, Queen Cleopatra used to visit this place again and again. Mark Antony, in order to please his lover, made this island even more impressive by importing special sands from the northern Africa. The sands you’ll find here now are found nowhere else in the world. This is a specially protected natural park and no one is allowed to disturb or take the sand away from here. As one walks bare-footed on this amazing beach, the sand squeaks below your feet. One feels as if he is walking on clouds! It is an amazing feeling, the words can’t depict. Entrance Fees to Cleopatra's Island, Lunch (BBQ Chicken, Salad, Pasta), Crew (English Speaking), Full Insurance, Hotel Transfer. Other drink and food options not mentioned here. Personal expenditures. It is a great day just have fun !!! 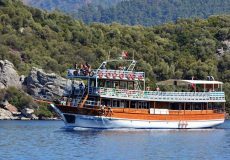 Categories of " Cleopatra Island Boat Trip From Marmaris "
Lovely boat trip, well worth a visit. Lovely warm water and so clear. Toilets and showers available. Did this trip through Marmaris Travel. Fantastic fun day. It was a great boat trip. So relaxing. Beautiful place to swim and relax. I highly recommend. How long time we will spend in Cleopatra's Island ? After the lunch break, you will 2 hours free time at Cleopatra's island. Are the entrance fees included in the price ? Yes, the tour price also covers the entrance tickets to Cleopatra's island. What time we will be back in Marmaris ? 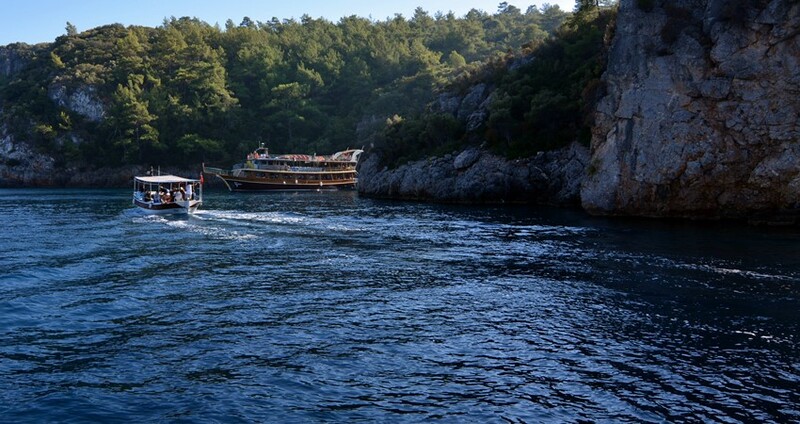 We are expecting to arrive back to Marmaris around 17:30 in the afternoon. Çamlı is a small village about 17 Km north of Marmaris. The journey by our comfortable minibus through the beautiful countryside with farmlands and pine trees is around 20 minutes. Çamlı is the place where our boats wait for you. 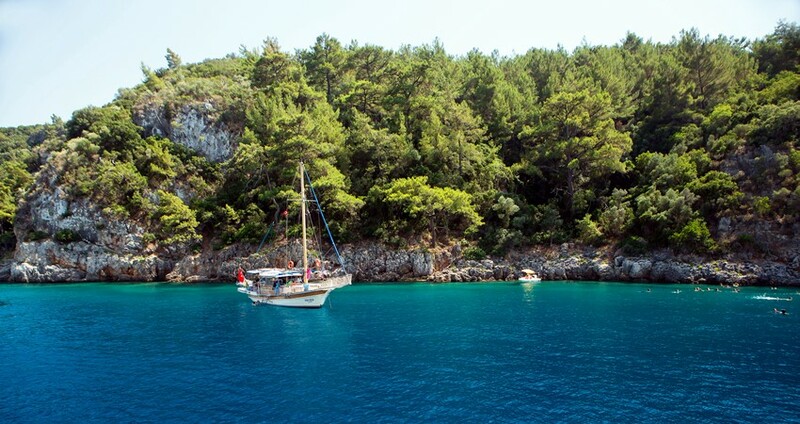 We begin our sailing over the Gökova Gulf from this village. Ince Kum is a National Park, much popular in the region for its fine sand and crystal clear waters. Ince Kum does mean ‘fine sands’ in Turkish. This is the place where we take our first swim break. We stay here for 40 minutes; you can swim, snorkel and play to your fill. 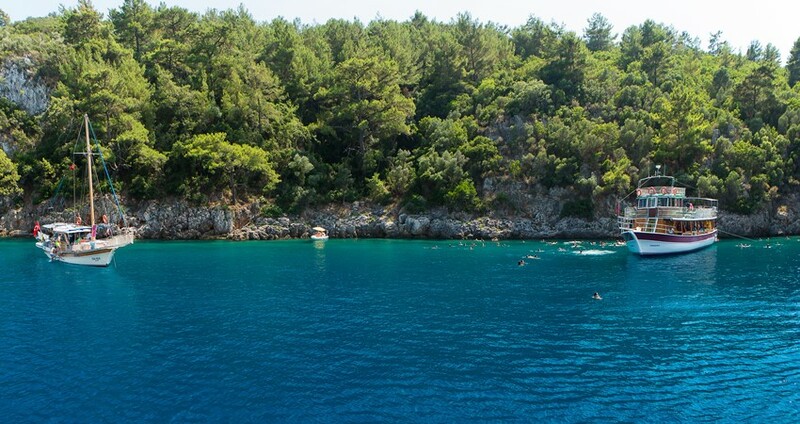 The Deep Blue Bay is the other popular bay within the Gökova Gulf. The waters here are too deep and appear dense blue in colour, hence the name Deep Blue Bay. This is a popular destination for yachts. We reach Cleopatra Island by midday and a luscious, fresh cooked lunch awaits us here. After the lunch break, our guests are free to take a walking tour across the island. Apart from the historical remains, there are some cafeterias and toilets around this place to get refreshed. The beach is a popular destination and we stop here for 2 hours. You can swim, sun bath and explore the island or the beach where Queen Cleopatra once spent her time around. This is our last swim break on the tour. 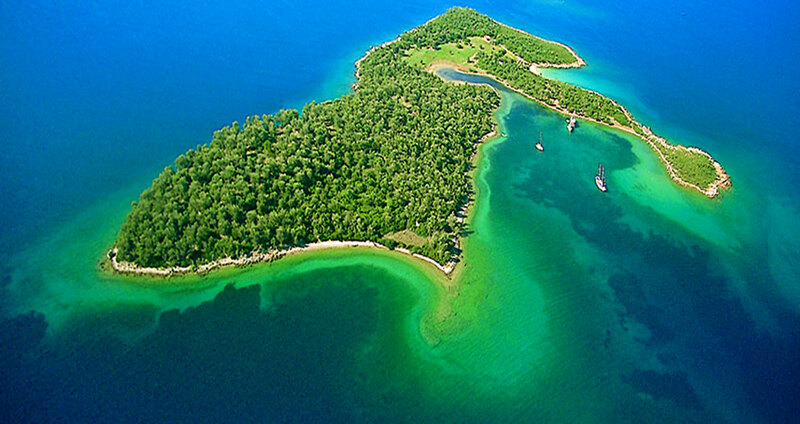 The Lighthouse Island is another serene and untouched place in the Gökova Gulf. This place is part of the National Park and is under the protection of Turkish government. 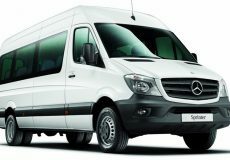 At end of the tour we catch our shuttle buses again; transfer our guests safely and comfortably back to their hotels at Marmaris. The duration of this trip is around 7 hours beginning from the pick-up to dropping back our guests to their hotels. 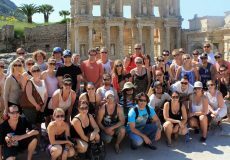 Some of the important facts and useful information about " Marmaris Cleopatra Island Boat Trip "
Marmaris Cleopatra island also known as Sedir Island in Turkish, is a small island in the Gulf of Gokova. 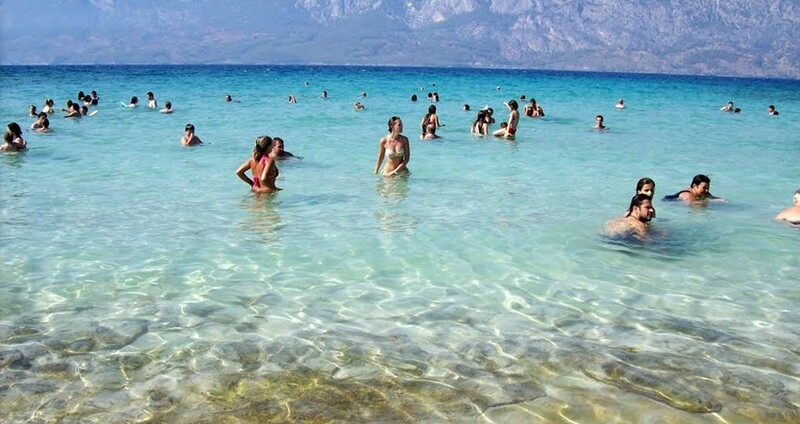 This island is famous for its beach made of seashells. The legend says that Marc Antony had specially ordered this organic sand to be brought here through ships from the Red Sea for his lover Cleopatra.